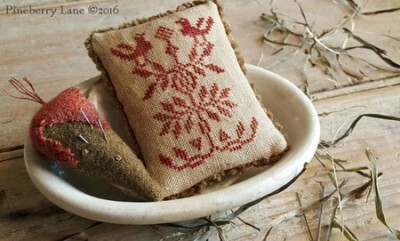 I've taken a sweet motif from an antique blackwork sampler in my collection, rendered it in redwork and created a tiny pinkeep with a pocket on back for an equally tiny scissors. A quick and easy stitching project! 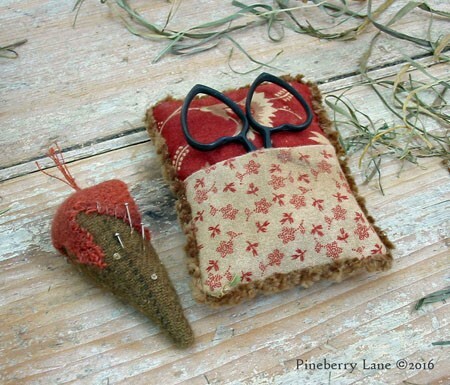 Instructions for making the wool strawberry are included! Stitched on 36 count Lakeside Linen Vintage Sand Dune. 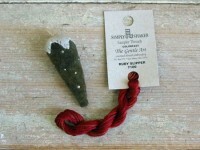 The Gentle Art’s Ruby Slipper thread used throughout. All stitches are cross stitch. 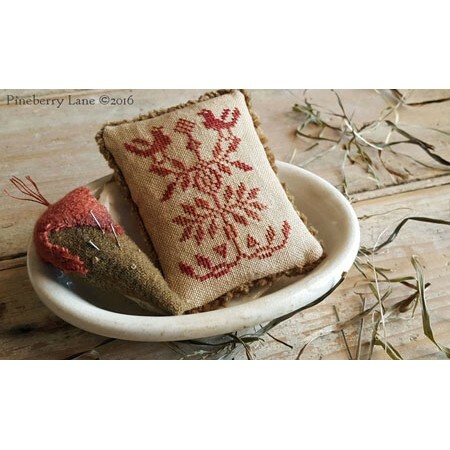 Pattern includes color photo, professional cross stitch chart, GAST floss color with DMC alternate, aging instructions, and directions for making the pinkeep and strawberry.